Clinical psychologist Nurhak Sönmez had received her Bachelor’s degree in psychology from METU. She then completed Clinical Psychology Master’s Program in the same university in 2008 and had acquired the title of “clinical psychologist”. Since 2008, she has worked as a clinical psychologist in various hospitals and psychological counseling centers. Between 2009 – 2012, she worked as a clinical psychologist at Okmeydanı Training and Research Hospital. 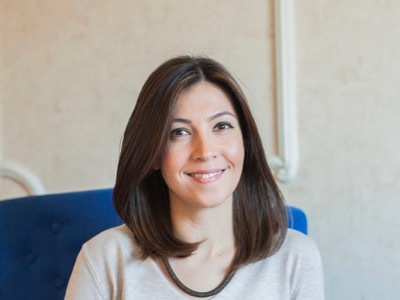 Between 2012 – 2017, she worked in Erenköy Psychotherapy Center which has been serving as an affiliate of Erenköy Psychiatry and Neurological Diseases Training and Research Hospital and has been in the organization since its establishment. She has participated in individual therapies for adults, psychodrama group therapies, dynamically oriented interactive group therapies, psycho-educational group therapy and psychometric test applications. During her professional career, she has received various training and supervision on cognitive-behavioral therapy, positive psychotherapy, schema therapy, sexual therapy, EMDR, psychodrama and psychodynamic approach. She completed the training of “Psychodrama Group Therapy” given by the Istanbul Psychodrama Institute between 2008 and 2014 and received the title of “psychodramatist”. In 2009, she completed the EMDR I and II levels of education given by the Institute of Behavioral Sciences. Between 2012 – 2014, she has completed the Rorschach Test training given by Rorschach and Projective Tests Association. Between 2012- 2017, she received analytically – oriented case supervision from Psyc. Yavuz Erten, Prof. Dr. Mine Özmen and Psyc. Bella Habip in Erenköy Psychiatry and Neurological Diseases Training and Research Hospital. Between 2013 – 2014, she had completed Psychodynamic-oriented Psychotherapy Training given by Prof. Dr. Doğan Şahin in the same hospital. Nurhak Sönmez practices adult-oriented psychotherapy sessions in Korto. She mainly uses Cognitive – Behavioral Therapy, EMDR, Psychodrama and Psychodynamic approach in her therapies. Her personal professions include difficulties in interpersonal relationships, depression, anxiety and related disorders (panic disorder, obsessive – compulsive disorder, phobias, social anxiety disorder (social phobia)), burnout syndrome, conflict solving, losses and mourning, traumatic experiences, motivational difficulties, weight control.